Acela CBD held an open house on Sunday to show the community what they do. Karen Swolsky, vice president of sales and marketing for Acela, said the open house was to educate the community on what Acela offers. 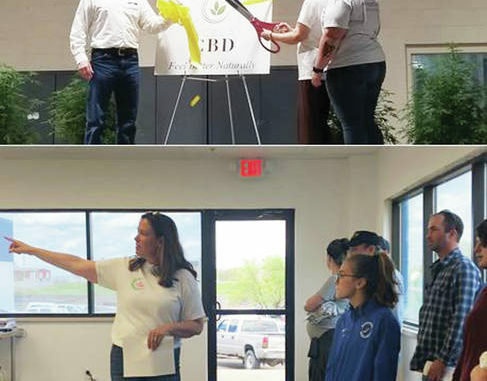 At 2 p.m., Acela CBD President and founder Andrew Culbertson, U.S. Rep. Thomas Massie, Kentucky Agriculture Commissioner Ryan Quarrels and Kentucky State Rep. John Sims Jr. spoke briefly about the opening of Acela and industrial hemp. According to Culbertson, Kentucky is making strides in industrial hemp farming. Massie said a lot of work was put into passing an industrial hemp farm bill. Massie also gave some history on how the hemp bill was passed. When Quarles began speaking, he asked how many people used to farm tobacco and how many were doing so still. Sims said he appreciates the farmers who are growing the industrial hemp. Mason County Industrial Authority Executive Director Owen McNeill said he was pleased to see Maysville be a part of the growth. Many of the products Acela CBD offers on its website include cannabidiol, or CBD, oils and extract created from industrial hemp. Historically, the first hemp was grown in Kentucky in 1775, in Danville on Clark’s Run Creek. Early settlers in the state brought hemp to the area, along with flax and wool, which were considered the best options for fabric in a region where cotton could not grow very well. Hemp production declined during the Civil War. Although some hemp was still grown in Kentucky at that time, the cotton market in the deep South, and, therefore, the market for cordage and bagging, was cut off. Hemp however did made a comeback during the Spanish-American War and again during World War I and World War II. The production of hemp then became illegal during the latter part of the 20th century. 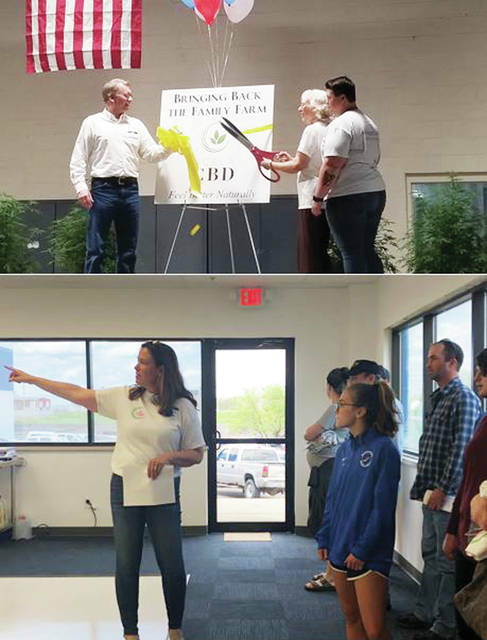 Top: Acela CBD Founder and President Andrew Culbertson, his mother, Geneva Osburn and his daughter, Corrina Culbertson cut the ribbon for Acela during an open house on Sunday. Bottom: Karen Swolsky, VP of sales and marketing for Acela CBD, shows visitors the lab where the CBD oil is extracted.